Need help with a script. Variable scope problem? Thanks Jesse—I now have my four macros for @start and @due working again! PS: @complexpoint rocks! 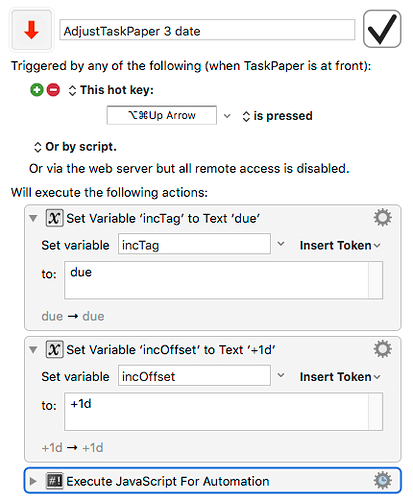 Virtually anytime I feel the need to create a TaskPaper script, I find that @complexpoint has already made one. Thanks so much!